At APT we take pride in supporting our local community clubs and organisations whenever possible. We appreciate the opportunity to give back. The Berwick Football Club is an Australian rules football club. APT has been a passionate sponsor of the Wickers for many years and is proud to be associated with our successful local football club. 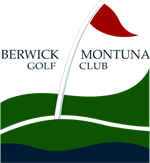 APT has been a long-time sponsor of the 6th hole at the Berwick Montuna Golf Club and Driving Range. Established in 1947 the serene, picturesque and well-manicured golf course offer superb views of the surrounding hills. The Pakenham Floorball Club Inc is devoted to continuing the development of this exciting young sport in Pakenham and across Victoria. APT has proudly sponsored this club over the past few years and is excited to see it develop and grow. The club has a strong presence at national tournaments, including the Australian Floorball Open and the national Australian Floorball team. Transit is a group of committed community volunteers who seek to engage and connect with people from all walks of life, by providing nutritious meals, friendship and support to those who are marginalised and lonely within the community. APT donates monthly to this vital community service. Relay is a chance for the Berwick community to recognise and celebrate local cancer survivors, patients and their carers, to honour and remember loved ones lost to cancer and to raise money to help save more lives. APT assists Casey Relay for Life by sponsoring this event.